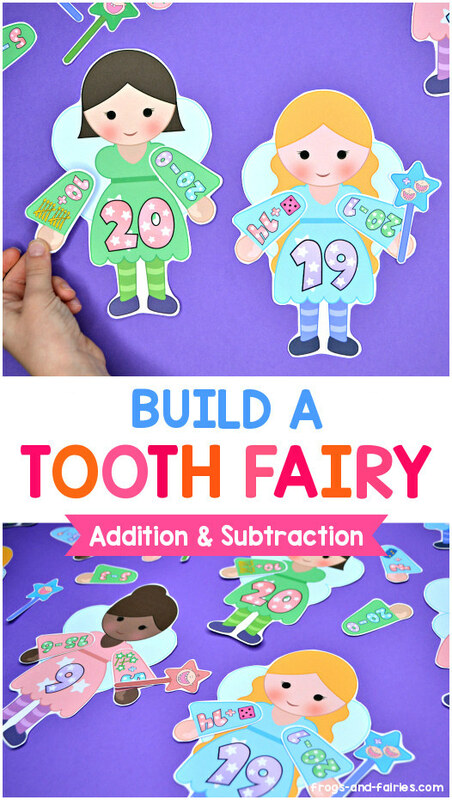 Get ready for a magical math practice with this Build a Tooth Fairy Addition & Subtraction printable activity! 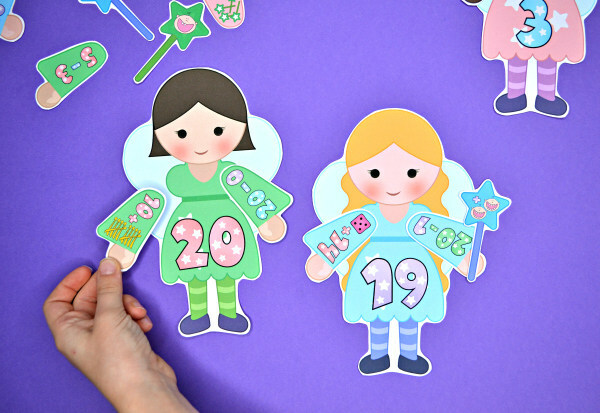 Your kids will place matching fairy pieces to the number on the fairy! 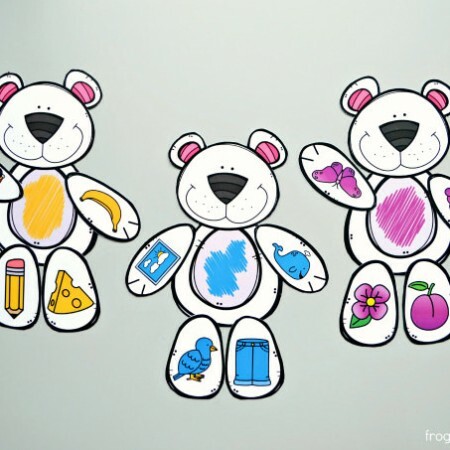 Let’s have some learning fun! 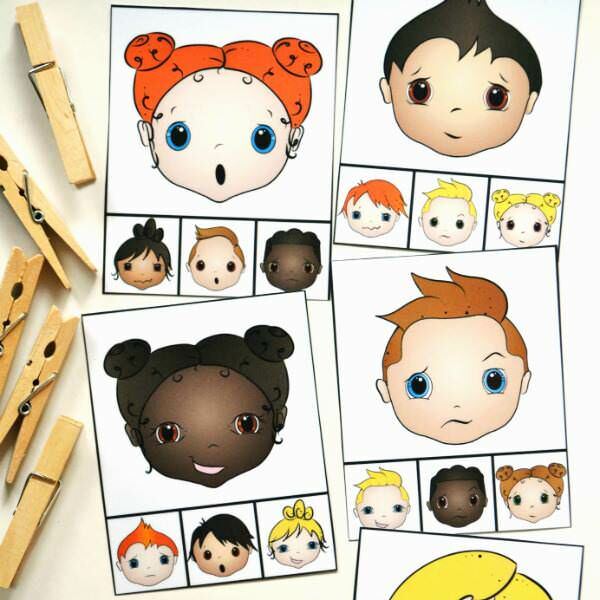 My daughter loves all kinds of fairies, but since she’s lost a few baby teeth in the past months, a tooth fairy is a special kind of fairy for sure. 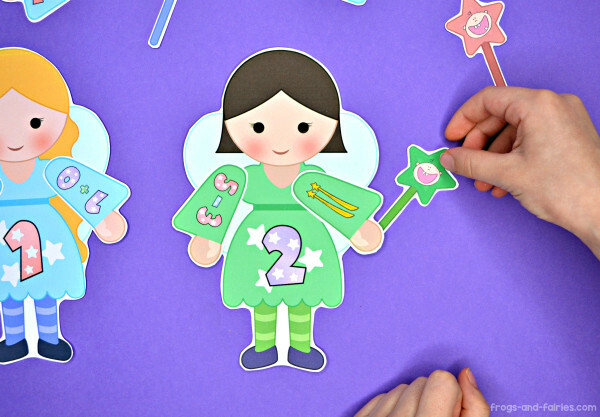 I knew these adorable fairies will be a big hit! 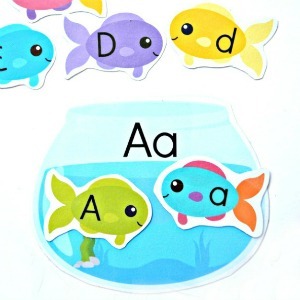 What better way to learn than to use something kids love and incorporate it into a learning practice! It’s learning, but it’s playing too! 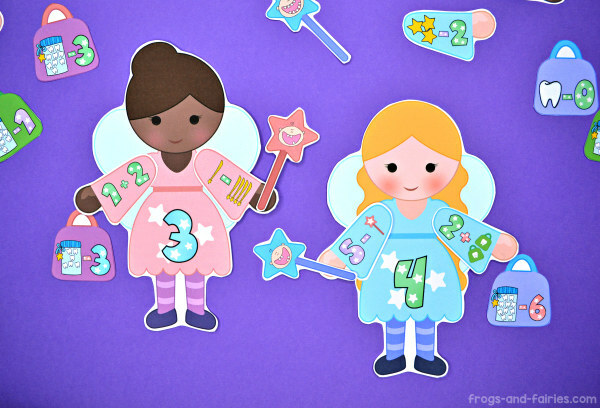 Your kids will build the tooth fairies by counting colorful pictures and solving addition & subtraction facts. 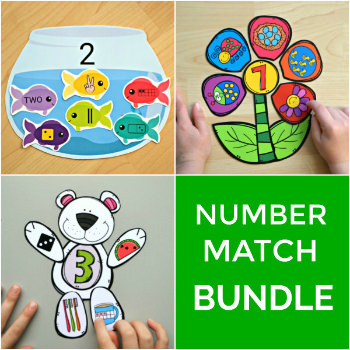 This set includes math facts up to 20, so it’s perfect for beginning learners and those who are working on double digit numbers as well. 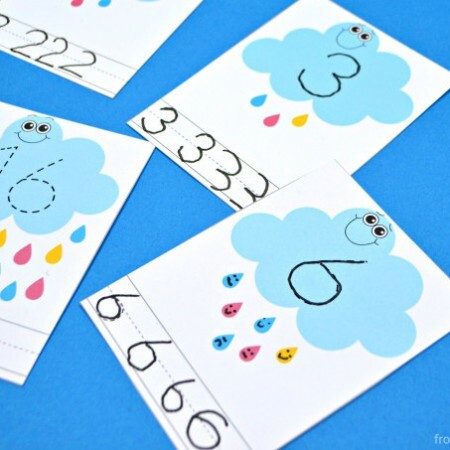 To purchase the Build a Tooth Fairy Addition & Subtraction Match, click HERE.